Some miscellaneous winter scenes that I haven't gotten around to posting. First, from when it was still cold. (When it was this cold, -20˚F or colder, my grandfather used to say, in Finnish, a word that he claimed translated to "piss freezes in an arc.") 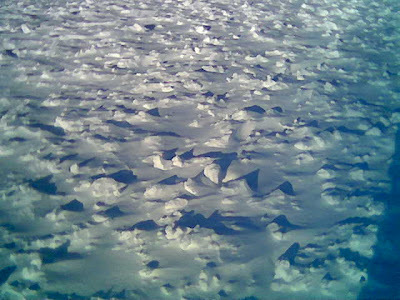 I liked the way the wind had sculpted the snow into something that reminded me of a lunar landscape in miniature. We had an ice storm a few weeks back, encasing everything in ice anywhere from 1/8" to 1/4" thick. It really did a number on some of the trees around here, including the birch tree in our front yard. Any guesses regarding the type of tree to which the branches in the foreground are attached? 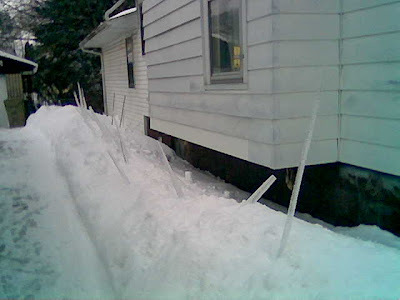 Then, as it warmed up and the sunlight got stronger, we started getting some good crops of icicles. Here, someone must have collected them and jammed them into a snowbank. One evening last weekend, after a few days in the 30s and 40s, it began to rain. During the night, temperatures dropped and the rain turned to snow. 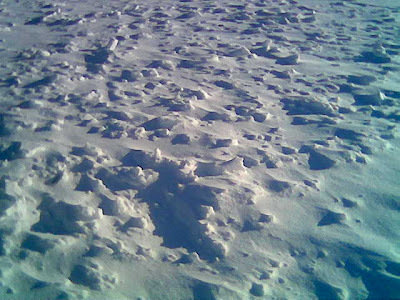 The next day, the bark park was an odd combination of fresh, fluffy snow, large expanses of sheer ice and puddles. 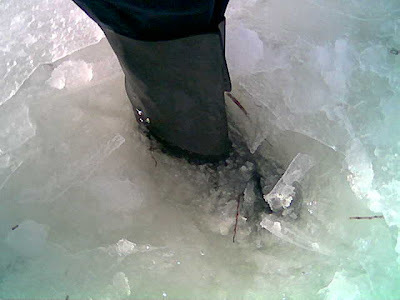 In the photo below I'm standing in about 4" of ice water. Thank the gods for dorky-looking, inexpensive, water-proof rubber boots. Made in China, unfortunately. O.k, the rubber duckies in the ice water is hilarious. Yeah, I think everyone is getting schizophrenic weather right now. This weekend it was below zero, now it's 40 degrees. Go figure.